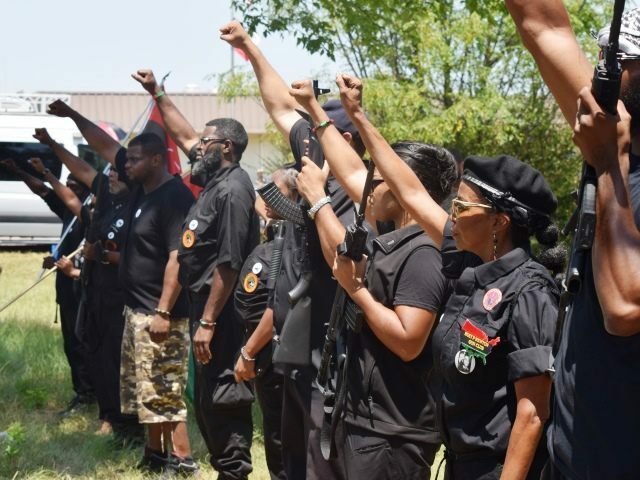 Fox26 News’ Isiah Carey hosted a discussion between Yahcanon, the president of the local New Black Panther’s Party and Breitbart Texas political news contributor Bob Price regarding the Sandra Bland protest last week at the Waller County, Texas, jail. Sandra Bland is the woman who was arrested in Waller County after an altercation with a Texas trooper where he brandished a Taser and told her, “I’ll light you up.” Bland allegedly assaulted the trooper by kicking him several times in the leg. The case has received national attention after she was found dead in her cell after spending three days in the jail, as reported by Breitbart Texas. An autopsy ruled she committed suicide. Many of the members of the group were armed with shotguns, hunting rifles, and AR-15 style assault rifles. 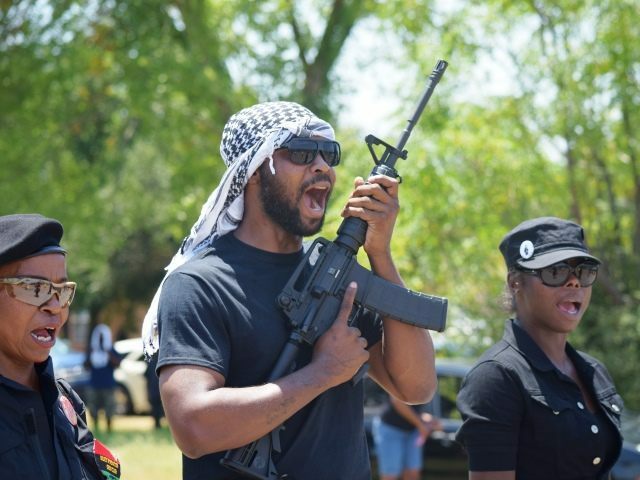 Most looked like they were simply holding their weapon; however, one of the Black Panthers took an aggressive grip on his weapon holding his rifle with his finger indexed slightly above the trigger. The revolution is on, said the chant leader. Off the pigs, the group chanted back. The chant continues, Time to pick up the gun … Off the pigs. No more pigs in my community… Off the pigs. No more brothers in jail … Off the pigs. 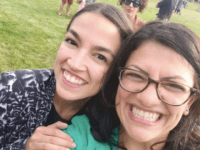 No more sisters in jail … Off the pigs. The pigs are gonna get scared … Off the pigs. The pigs are gonna get dead … Off the pigs. In another chant, the leader attacked Planned Parenthood. He said, “We’re so stupid we are killing ourselves.” He talked about the millions of black babies who have been killed by abortions at Planned Parenthood. When asked, Yahcanon replied, “Well, we don’t care about how police officers interpret anything. We want police officers to quit killing unarmed black people. That’s what we want them to do.” Price replied that he did not want police officers killing any unarmed people. Carey asked Yahcanon about what he thought about white Americans labeling his organization as a hate group similar to the KKK. Carey asked the Black Panther leader how he thought the media was misleading the public when the media just reports what it sees. Carey asked Yahcanon about the weapons they were carrying in Waller County. He said we have all seen the Oathkeepers in Ferguson. Yahcanon said that Hispanics are striving to emulate the European community because that is what you need to do in this country to succeed. They think they can make it by hating us, he said. 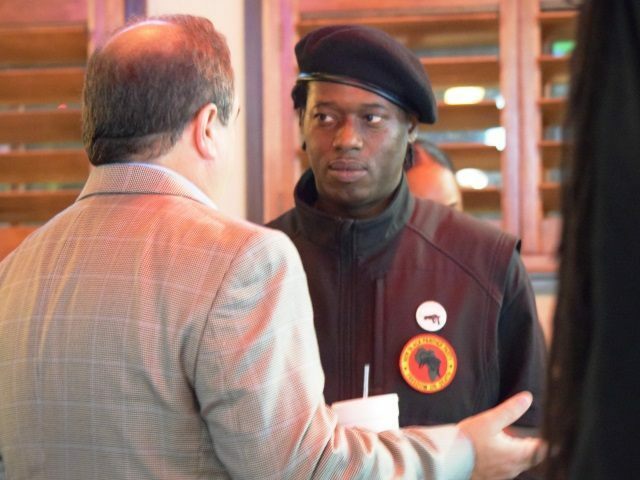 Price said he takes exception to the term and told the Black Panther leader that he would like to talk to him about the things they agree upon, about Planned Parenthood killing black babies, and about the crimes against the black community that have taken place because of the government. Price said perceived violent threats make it hard to sit down and have a meaningful discussion. Isiah Carey is the host of a new Fox 26 Houston show, the Isiah Factor Uncensored. The show is aimed at bringing a lively debate about the news into a community setting. 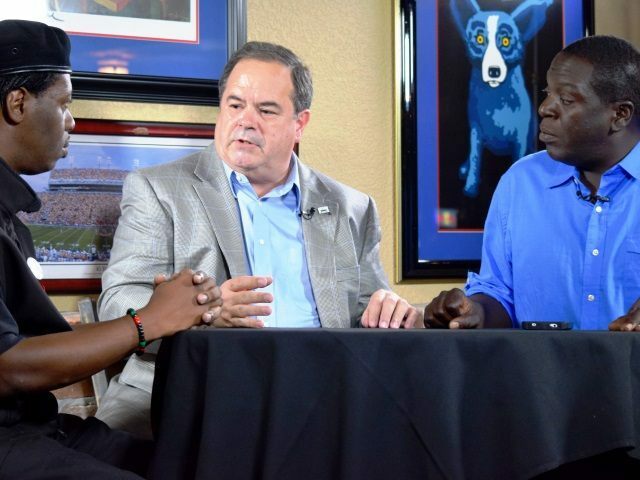 The show is broadcast live every Friday at 9:30 p.m. from the L.A. Bar and Ragin Cajun restaurant near Houston’s Galleria.